Light gray granite G603-JJ takes its origins from Jiangxi province of China. 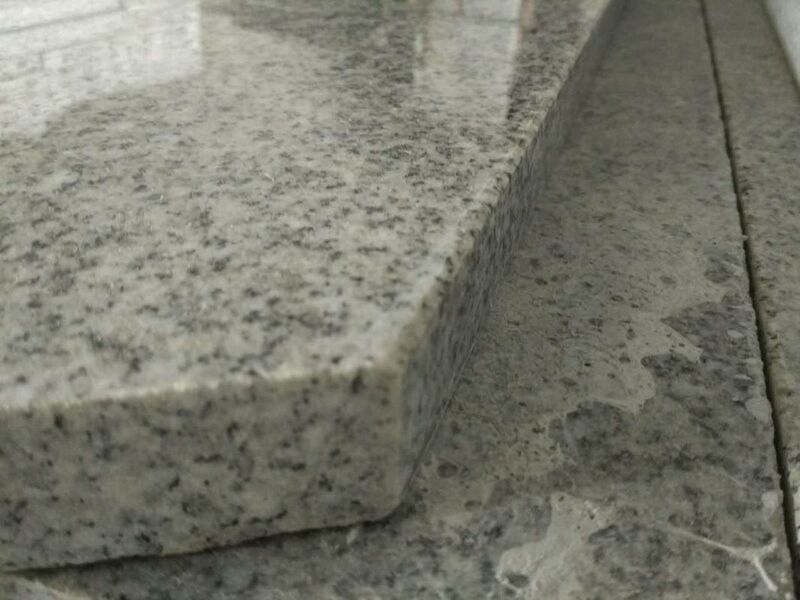 It is the best substitute for the classical and well-known G603 (Bella White) granite which is not being supplied at present due to quarry closing, both materials are very similar in the features of color, polishing degree (>= 80 degrees), thickness tolerance, geometrical and angular precision. We cooperate with the quarry of G603-JJ that is currently considered to be the most developed one, with strictly standardized selection of blocks done on the stage of extraction and being classified into A, B, C categories. Xiamen Quan Stone also cooperates with the only one quarry-affiliated export oriented factory which, along with supplying standard polished and flamed tiles, produces project items (stairs, curb stones, balusters and other products designed for projects). G603-JJ comes in two shades of the same color - the lighter one and the darker one (see the photo above). The darker stone comes from upper layers of the quarry, while the lighter one (the one that tends to be more stable in color) is found in the bottom layers. Xiamen Quan stone always selects A class blocks from the bottom parts of the quarry. We guarantee to supply the material of uniform color with minimum of natural shade variation for the orders within 3 containers. However, in orders of larger volumes (a thousand square meters and above) both shades can be found within the bulk order, which is a natural feature and is not considered to be a defect. However, you can feel secure, as shades does not mean different colors, it’s rather a slight natural variation of the same color which often can not even be noticed by casual (non-professional) observers and consumers. All the blocks of G603-JJ are marked as class A, B or C on the stage of extraction. 1. Do you have granite stairs and steps in stock? 2. What is common size for steps? 3. What is the surface for stairs ? 5. How can you pack the stairs & steps? We use very strong seaworthy wooden crates to pack the stairs, steps, risers with fumigation. 6. Do you have min. order? 8. How can I order from you?